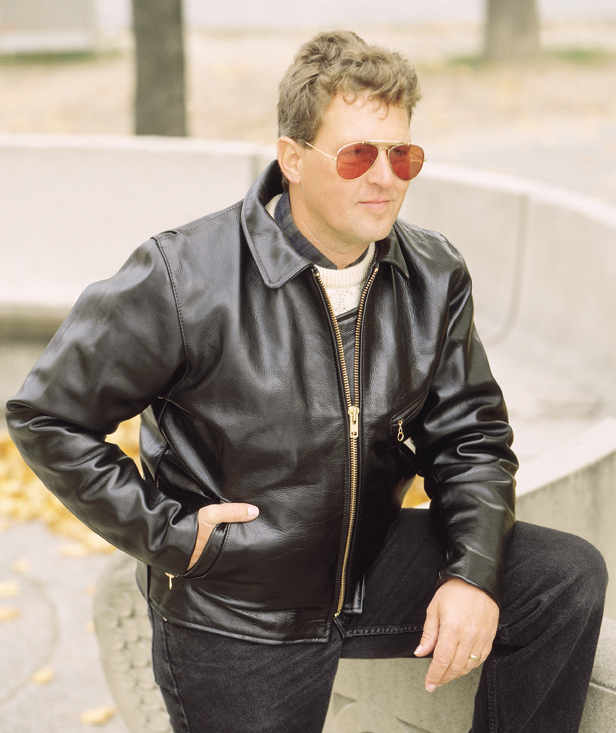 American Made Leather Jackets, that is what Vanson Leathers is all about. 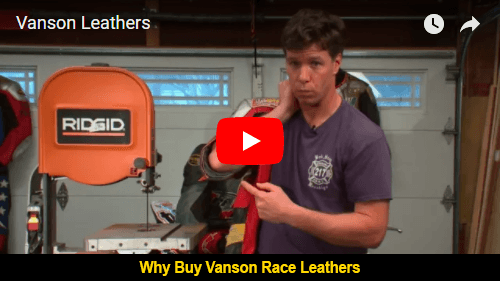 Whether it is a custom motorcycle jacket or racing leathers, such as our state-of-the-art drag racing leathers or motorcycle racing suits, Vanson represents the best Made in USA leather motorcycle clothing. Blending traditional craftsmanship with new innovations, every piece is cut and sewn by hand - one at a time, by craftspeople who each average several decades of experience. For over 30 years our workshop has been located in the historic granite stone Laurel Lake Mill in Fall River, Massachusetts. 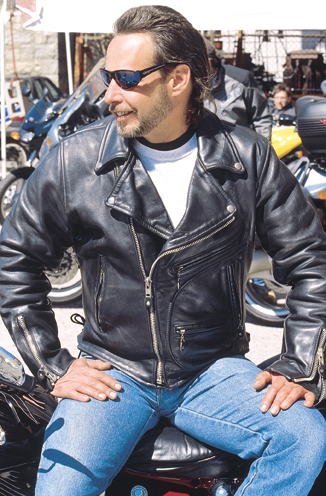 We have been, ever since our founding in 1974, one of the leading American manufacturers of custom motorcycle jackets. Leather, being the oldest continuously used material known to man, has never been improved on as a protective clothing material, even though the processes used to preserve it have changed over time. Today's custom leather motorcycle jackets started as utilitarian garments designed for work and combat; after use in two World Wars they became powerfully invested with the psychological and social significance they carry today. Leather jackets were an integral part of the uniforms of many armies, and after WWII there was a proliferation of “surplus” jackets available to the public. During this time the leather motorcycle jacket retained its symbolic association with the warriors who brought them back and into the mainstream. Substitute custom drag bike leathers, custom biker jackets, custom leather gloves, custom leather pants, or custom race leathers for the term “surplus” and you have the basis of today's road warrior gear. 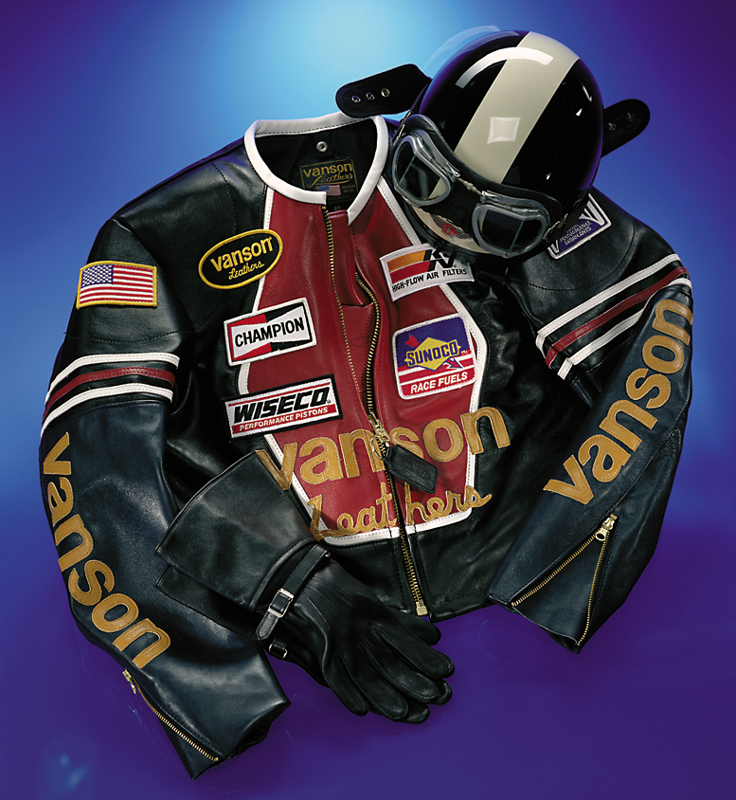 From nostalgic CHP Jackets (California Highway Patrol) to modern Supermoto jackets, from flat track leathers to road race leathers to drag race leathers. Vanson is the best American made leather jackets. As with motorcycles, continuous development from race-track experience, and our “No Compromises” attitude, translates into superior real-world quality and design. Blending traditional craftsmanship with new innovations our goal is to create Heirloom Quality garments. Every item we make carries a unique serial number, which allows it to be tracked if stolen, and lets us maintain a complete record of the patterns used in making it (which we keep permanently) and any repairs or alterations made. Unlike most products sold today, every Vanson garment, whether off-the-rack or custom-made, is renewable by design. Vanson will repair, maintain, restore and alter any Vanson product whatever the age or condition. We, the craftspeople at Vanson Leathers, would like to share our pride of ownership with you. And We Thank You for reading this. Cruiser, Touring, Urban, Scooter, or just plain out-and-about – Vanson Leathers has you covered. Riding a vintage bike with the vintage look – Vanson has it. On a hot Sportbike heading for a track day – got you covered. Cruising and you need that “Biker” look, we can take you back. Touring across the country, comfort and ventilation are our specialty. Walking the Champs Elysee in Paris, cafe to cafe with style, got that too. 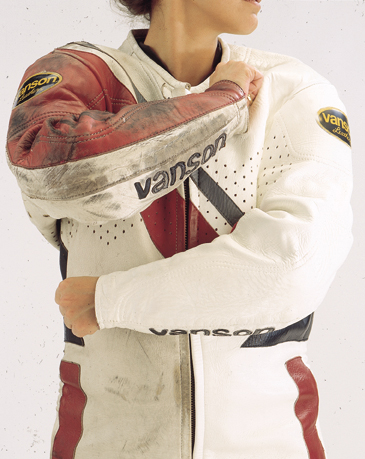 From the iconic Vanson Star Jacket, to our technical pants and SuperMoto jackets and pants, our American Made garments stand out with a purposeful flavor unique to Vanson. Vanson means Versatile. The materials we use range from full competition weight leather through wax cotton and Nylon Cordura. All of our garments stand out from the crowd and have the subtle details that identify them as Vansons. Vanson means Protection. 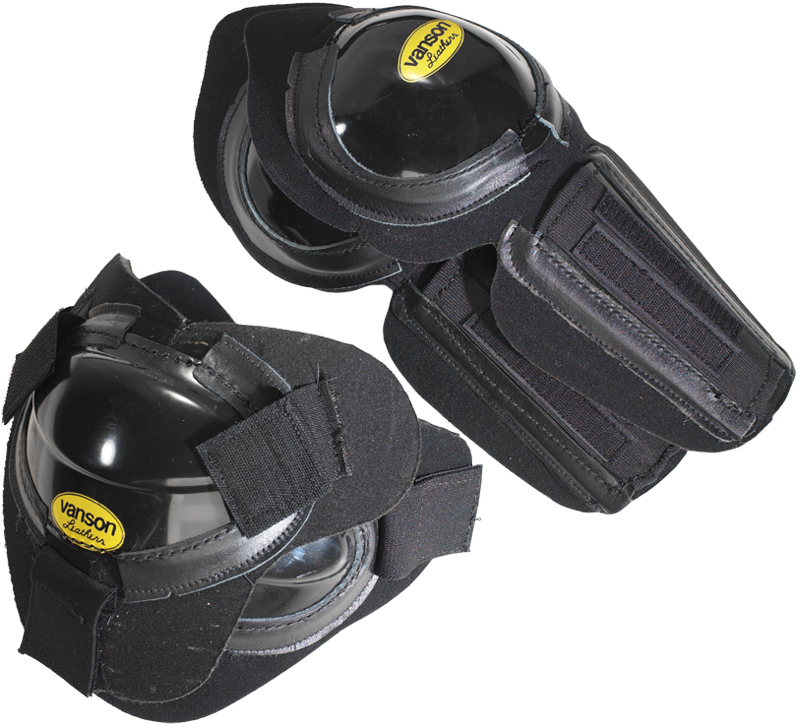 Not only is there the obvious quality of first rate materials, there are also in many styles we make CE armor at the shoulders, elbows and knees. Some styles also come with back-pads. Most of the armor installation used by Vanson is supported by patented methods. 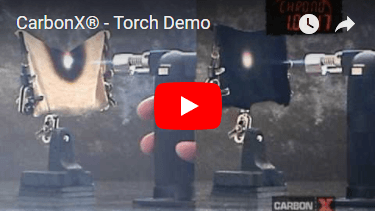 The concept is to provide the protection desired at the potential point of contact, while also preventing the fitment of the armor from restricting movement. We call this “Floating Armor”. Vanson means Cool. Proper air-flow, particularly on a long hot ride, is an important safety factor. Vanson Leathers has several patents on incorporating aspects of ventilation into a garment without allowing the garment to “blow up” in size and become a distracting, fatiguing, billowing bag of air. We have all seen examples of this on the road, and it is not only ugly but potentially dangerous as any armor or padding placed to protect is also moving about with the billowing garment. This kind of loose fit as a result of allowing the jacket to expand with the vents opened is prevented in a Vanson by the design of the patented ventilation systems. Vanson means Style. We make many different styles. If you wish your designs can be incorporated into your garment. We can take your designs and cut them out of leather on our water-jet, and then apply them to your Vanson. 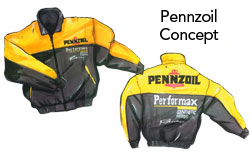 We can embellish with embroidery, either outside or on the lining, inside. You can pick from a wide range of leathers, colors and textiles. Vanson means Fit. Fit is important. Fit is comfort. 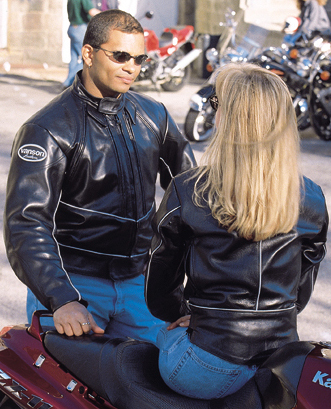 If a standard size does not fit you, we can either adjust the fit, such as longer sleeves, or make a fully custom fitted motorcycle jacket or pants. Welcome to the Vanson family. Vanson has been in business since 1974; we are a small operation, we specialize, and everything we do is done very well. Buy a suit from us, and you may be paying more up-front (we reserve the right to be cheap), but in the long run it's likely to cost you less, and for sure will serve you better along the way. We don't just stitch these things together - we design them. Vanson has 10 patents in ventilation and protection. What other racing suit company can say that? Vanson has 40 years of experience, of being in contact with top riders (yes, they crash too - see Eric Gilbransen in the “RIDGID” video below), listening to what they have to say, and learning. 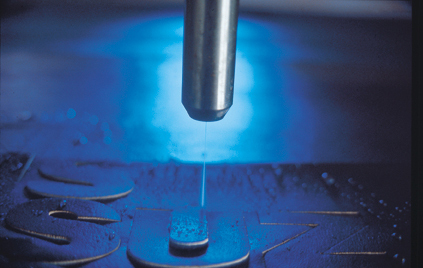 Our materials are the best you can get. Vanson competition-weight leather is 1.3 - 1.5mm thick, and as our suppliers well know, we are picky, picky. Our Kevlar material is our own weave, comes from work we did for the US Army Labs in Natick on mine-removal gloves, and is exclusively ours. We use it to make flex panel inserts in Road Racing Suits and SuperMoto Suits, as well as our proprietary “GRIND” material. GRIND is our multi-layer sandwich of Kevlar and leather, protecting shoulders, elbow/forearm, knees, and seat in our drag suits. Of course it meets or exceeds even the AMRA and NHRA Harley Fueler Class requirements. Our hard armor for track suits is of our own design and manufacture, but what really distinguishes it from others' is where it goes, and how it's kept there. Vanson's F.A.S. (Floating Armor System, US patent 6260196) lets the armor move with you, and stay over the area it is meant to cover, while still keeping it attached to the suit. Protection with comfort. When it comes to graphics, Vanson offers a design service, or we can turn any sketches/ideas you have into finished designs, and execute them either in embroidery or by cutting colored leather with our waterjet. The base color of your suit can be anything that pleases you, as long as it's in our palette. Now...thank you for reading so far...about fit. Vanson is the only suit-maker that guarantees fit. Our measuring form is elaborate, and you need someone else - if not us or one of our dealers, then a trusted accomplice - to measure you with our special measuring device (which you can easily make for yourself). Take a look at our How To Measure, a video and measurement-by-measurement instructions. Once we have your measurements we check to make sure they are consistent with each other, and then cross-check them against our database (maintained in a secure location, on powerful 'DOS' data-processing equipment), which has records of all the suits we have ever made. If there is a problem, this is when we like to catch it. Your suit will be cut using CAD and a computer-driven cutter, and we emboss on it next to the Vanson oval its unique unit-number. Very handy if stolen; and if you ever need to get it repaired - or just decide you need a more generous sponsor with better-looking umbrella-girls - and so need to change the color or graphics of a panel, we can cut and fit a new piece exactly the same shape and size. If you need alterations, we can go back to the original measurements, make the necessary changes, cut and fit a new piece. Your suit can come back to us for routine maintenance too. (We are the only manufacturer that offers this service). As you use it normally (ie without getting off the bike while it's moving) you will be exposing it to UV light, different salts and varying pH levels from sweat, all of which can weaken the fibers of the leather, not to speak of grit, which can cut through them. Send it back to us for reconditioning, and (without altering the outside of the leather) we will clean the surface of grit, wash out the contaminants from the inside, and renew the waxes and oils used in tanning, which let the fibers slide over each other, making the leather supple but strong. Do this, and your suit will be more comfortable, protect better, and last longer, making it the best value in the industry.